Computer Research & Technology, based in Dubbo, is a highly experienced Information Technology system integrator, designing software and databases as well as hardware server systems, local and wide area networks. A long established company experiencing steady growth, Computer Research & Technology is at the forefront of the Information Technology industry. 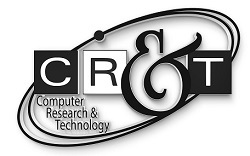 Computer Research & Technology welcomes applications for an administrative assistant to join our team for a permanent part-time position for two days per week. The successful candidate will be working in reception, data entry and administration. This is a permanent part-time position and is an ideal role for a self-motivated person with customer relationship experience and administrative skills to work alongside a friendly and hardworking team.